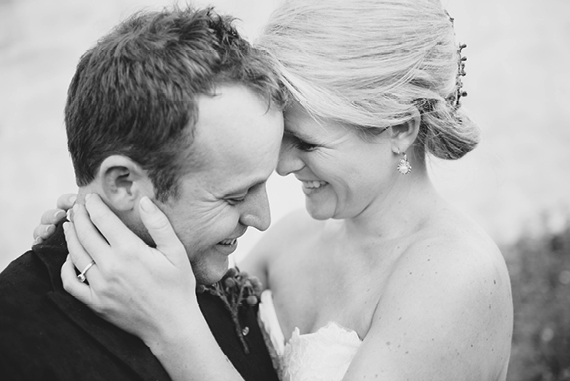 Wedding Friends is giving away a seat at Stella Uys’s 2 day photography workshop in April 2015! 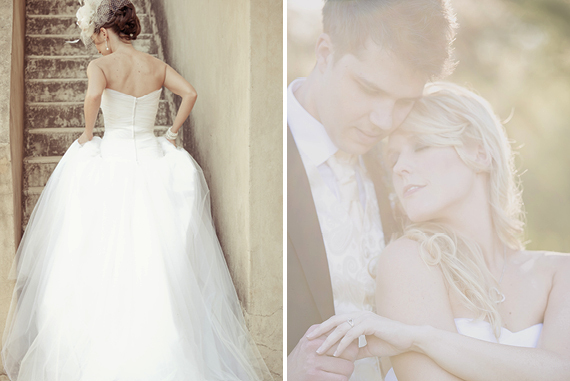 Stella is a well known, respected and crafted photographer who has made her mark in the wedding photography industry. An opportunity that can simply not be missed as this photographic icon has a lot to share! An in-depth and complete wedding walk-through covering all aspects of the wedding day, targeting difficult situations & aspects. In-depth shooting experience with me, covering all aspects of the day from detail, decor, bride preparations, groom preparations, ceremony, family formals, couple shoot and reception. Posing, evoking emotions, what I look for and dealing with difficult situations. 21 & 22 April 2015 in Pretoria. If you want to book a seat to attend the workshop, simply contact Stella and book now to avoid disappointment! I would love to be part of this phenomenal photographers workshop. As a growing photographer in the business it would really learn a lot and it would really be a good boost to learn from the best when it comes to dealing with clients and securing bookings. I would really appreciate it very much if I’m considered for this workshop. I have loved Stella’s work for so long, she is so inspiring. This would be an opportunity of a lifetime and one that is on my bucket list as a MUST DO. To learn and be even more inspired by one of THE most talented photographers in the industry would be a dream come true. What an amazing photographer, I would be truly honoured to be part of such an awesome workshop. I feel that I am currently at a standstill with my wedding photography, yet I am so motivated to grow, learn and excel, because I know I have so much more potential, I just need a little bit of help. A while ago I posted on one of the photography groups that if there is one person I wish would host a workshop it would be Stella Uys. I just love her work, she is one of my greatest inspirations, and her work is just too beautiful for words. I was going through one of her weddings the other night, and showed some of the images to my husband, who then asked me if she doesn’t have a workshop. So this is meant to be, when I saw she is hosting a workshop. But as life is, unfortunately, we are saving to buy a house, and with Christmas around the corner, I don’t have the spare money to spend on a seat for the workshop. So this is my only hope!!! This is the one photographer I get excited about when seeing her posts, knowing I am going to see some stunning work. This is such an awesome opportunity to be able to learn from of the best wedding photographers in the business. As a photographer in the business, this opportunity could not come at a better time, and to be able to learn so much would be a phenomenal experience. This is my hearts desire and I would be so grateful to be considered for this workshop. As a newly launched full time photography business, I’m eager to soak up as much learning as I possibly can. This workshop sounds like an excellent opportunity to absorb practical business and wedding photography knowledge and shortcuts to setting my business up for success. I would greatly appreciate the opportunity to learn from such an excellent photographer. I have been doing wedding photography for almost 5 years now, but I have so so much to learn still. When I look at photographers like Stella Uys, Christine Meintjes, Clarisse Pieterson, only to name a few, I am made more aware of this fact. I absolutely adore how clean & natural their images are & dream to be like them “when I grow up”. Stella has so much knowledge and experience & I would love to “pick her brain”…Being from the “platteland”, I sometimes lose track of whats going on in the ‘world’ & think I need some guidance in so many areas of my photography. Please please please pick me!! The reason why I would be honored to win this awesome price is because I want to be better. And to enable me to be better is to practice and learn from the best! I would grab this opportunity with both hands whilst holding my finger on the shutter! Thank you! I’m dying to leave my full time job and just focus on my wedding photography business – I’m almost fully booked for this season but I’m dying to learn more and up my game on the photography and business side of things. I still have SO MUCH to learn! I think this is the perfect opportunity to learn from one of the best in the industry and with a little bit of luck and a lot of hard work, hopefully I’ll be able to make my dream a reality by the end of 2015. It has been a great dream since I was a child to take awesome photographs, now that I am a grandmother I want to use the opportunity to be able to learn how to do it properly and also maybe make a little money for myself. Your work is stunning, soft and subtle yet it stands out in the crowd!! Hugz ! I am no writer and cant write you a soppy story on why I deserve this more than anyone else. Let’s just say I would love to learn more from a pro! Hope the person who gets picked uses the knowledge shared with him/her! Because I love so far out in the sticks, we never get events / functions like this in our town. I would be so appreciative of a chance to attend Stella’s wedding workshop! Please pick me! I’ve been following Stella’s work since her Pixel Pro years. She is one of the best in the industry and I would love to win a seat and learn from this VERY talented lady! It would be such a privilege if I get picked! Because it is my dream to work with people! I mainly do landscape, macro and wildlife photography! I would love to learn how to work with people, and who better to help and guide me than Stella! I have been following Stella for a long time, and only dream to oneday be able to work with such flair! Please i need this in my life! Thank you for this opportunity, being selected would be a wonderful gift and honour. No beating around the bush so I’ll be straight forward. I Earl Love, Love Wedding photography. If I could turn back the hands of time there’s nothing more I would’ve wanted to be than a Wedding photographer. I enjoy watching documentaries and videos by Pro wedding photographers and most of the speakers at the workshop are people I look up and admire. To see them face to face and absorb the knowledge and experience they have to impart would truly be a Blessing. Stella is an amazing and inspiring woman and photographer for us in South Africa, and even Internationally! It would truly be such an amazing opportunity and blessing to be given this chance to learn and grow! to push myself and my technique and skills and develop under such amazing influence and guidance! It would be so much more than a pleasure to join this workshop and it would challenge and teach me so much!! I am a true fan of Her work, as well as Wedding Friends, thank you so much Andreas!! You both are true inspiration to us as artists and photographers in South Africa!! I would love and value this opportunity so much! Wow! I want to win this so badly… I am a newly married photographer who has a passion for photography but truly struggle to get to a place where I can get booked. I’m creative and love stella’s work so much that she took my wedding photos and I tried taking every bit in being photographed by Stella to simply try and learn something new…but I do struggle to understand the business and getting my work out there. Stella is an amazing person and it would be an honour to be able to be taught and enlightened by the best. with Stella’s wedding photos Created! I also need to be awesome!!! Been taking photographs for a while now and I am self taught which mean I and always learning and sometimes learning the hard way. I find myself stuck in style and price. This workshop sounds like its what I have been waiting for. I would like to grow as a photographer and business person whilst providing the best service and client experience ever… I am available to assist the day of the workshop…to hold reflectors or boiling water…. should I not win. Because I waaaaaaaant it. And I neeeeeeed it. I want to learn all about Stella’s kiffness!! I’ve been a photographer for 10 years, and I really believe in staying teachable. I would love to attend this workshop. A fresh and unique approach would do me a world of good. I’m self taught photographer, qualified graphic designer, wife and mommy of an almost two year old boy. As the wedding industry changes and evolves, I know that I need to change and grow with it. Thank you Wedding friends for giving this opportunity! My eldest daughter is getting married in June 2015 and she wants me to do her photos, I’ve never done a wedding and it’s not in my line at all. I would love to make this special day hers to remember forever. Photos capturethespecial moments and I would not like to mess up. And I love attending workshops! It’s my believe that you need to improve daily and by doing workshops you can take a little of what you learn and better your own style. I would love to be able to hone up on my current self taught skills and learn from one of the best!! I do photography part time, but would love to be able to make it a full time job, but fear I need more experience. Please consider me? Wedding photography gets my heart racing and my blood pumping, I LOVE every moment from start to the last dance and would love to attend this workshop with Stella Uys and learn from the best. Stella, you are truly an inspiration and mentor to many photographers out there especially to this photographer. I would love to attend one of Stella’s workshop. I am a big admirer of her work, and as an up-and-coming wedding photographer I think this would be such a great learning experience! My love for wedding photographer grows stronger every time a photograph a wedding and seeking more and more knowledge of how to better the images in any way… I would love love the opportunity to work with Stella’s Workshop and get tough this amazing skills that they are so willingly giving away… I really admire the photographer willing to share their knowledge with us. To be the best you have to learn from the best! I would love to grow as a photographer and Stella’s workshop will most definitely help me become the best I can be as a photographer and to make sure I give my future brides the best images I possibly can. As much as I love my newborns and kids, I would love to take my work up a notch and a decent workshop from an absolute professional like Stella is the way to go. Would love to win the opportunity basically of a lifetime! It was really difficult for me to get into the wedding industry and I am still finding my feet. People tend to judge you when you are different, when you don’t look a certain way or act a certain way. Despite this I approach things with positivity and humour. Want ek is tog so lief vir lekker lag. But with no formal training in photography I had to rely on online workshops and trial and error to learn. I will never stop learning… I would love the opportunity for hands on training and would be so honoured to be able to attend this workshop. I would fly up to pretoria in a heartbeat (this is a big thing for me as I have never flown before and am terrified of anything that’s higher than 2 feet from the ground haha) for the opportunity to learn from someone who has left such a lasting impression on the industry. Photography is my passion in life, and wedding photography makes up a big part of that, though I am the first to admit that I don’t yet know as much as I want to about the process. I believe we should keep pushing ourselves to be better at what we do. I would love to learn more from a pro like Stella Uys, she’s such an inspiration! Would love to learn Stella’s point of view and how she goes about making her magic! I’ve tried to teach myself as much as I can. I am proud of how much I have progressed but I would really love to attend a workshop to progress and learn from one of the best. I would love to attend! Even thought a trained at tech for 3 years in photography I have been out the business for a few years! Getting back to shooting i’m keen to learn new tricks of the trade to get me going again! I also LOVE her work! You simply can never know everything and it would be great to learn from such a talented photographer.